Norn9 ノルン＋ノネット: AWARDS | It's a wonderful world! I still can’t get over Norn9! Haha XD (I’m currently listening to the tokuten Drama CDs btw). So, I decided write this “Awards Post”. I already did something like this before when I finished Hakuoki ~Demon of the Fleeting Blossom and it was really fun to talk about my favorites in the game, so I thought well why not do it again with Norn9! This is a “Me! Me!” post XD. Everything is all about MY biases in the game. 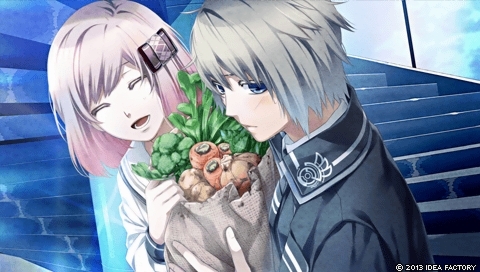 Norn9 proved my assumption that I always go for the genki guys wrong again. The genki guy/loud guy in this man harem is definitely Heishi, but I didn’t really like him (prolly because of Hiroyuki Yoshino shouting lol). Instead, I found myself falling so in love with Akito! No questions asked for Nanami lol XD. I really love kiss CGs (≧∇≦)/. They are something I always look forward to in playing otome games. That’s why I will really really be disappointed if a route fails to give me at least one kiss CG ಠ_ಠ. For the whole of the game, my favorite kiss CG is Itsuki and Mikoto’s second kiss, the one in the forest when they ran away from Norn. 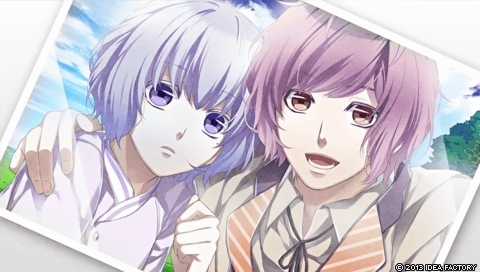 Runner-ups are the two kisses that happened in the library, one from Kakeru’s route and the other from Itsuki’s route. Runner-up: Senri’s CGs are all pretty too. This CG from Kakeru’s route. I just love how this was drawn. The colors are pretty too. Kakeru’s greens and Koharu’s fire really go well in a picture. I also liked this scene in the game. The good endings in this game… are all bland imo. But I guess by making the endings that way, every route end is fandisk worthy? lol XD. For the sake of this awards post, I’m going for Natsuhiko’s good end. I know the good end CG isn’t really that awesome but I guess I just loved how things turned out with for everyone in this end. i’m playing nanami with akito^^ LOL, they are so cute, but i cant play japanees as well, do u have any idea how to play it in english?